Want to feel like you're on American Gladiators? 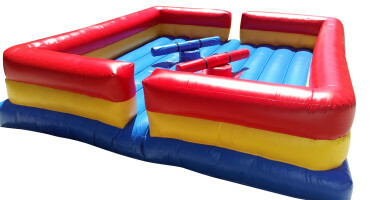 Get in the spirit of competition with our joust sports inflatable. It features two padded lances and a large inflatable landing area.